Julie and Drew had our attention from our first conversation with them when they told us about the start of their relationship. The couple shared the same hair stylist for years, and while she got to know them separately she was sure they would be better together. So she arranged an “accidental” meeting as one was coming and the other was leaving the salon. 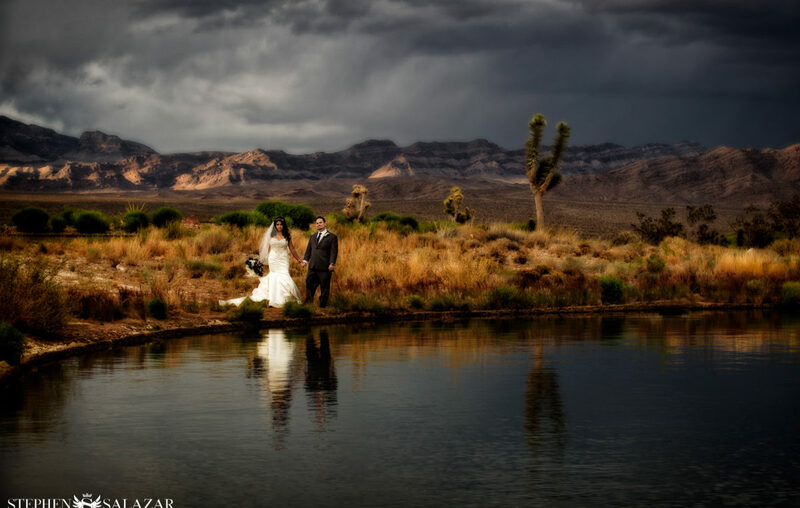 Its fitting that their love story begins unlike anyone else’s because their Paiute Las Vegas wedding was as well. The day began early with Julie and her bridesmaids gathering at COLOR by Michael Boychuck the salon inside Caesar’s Palace. Julie had a carefully selected team do her makeup and hair and then called in the salon’s veil expert to complete the finishing touches. 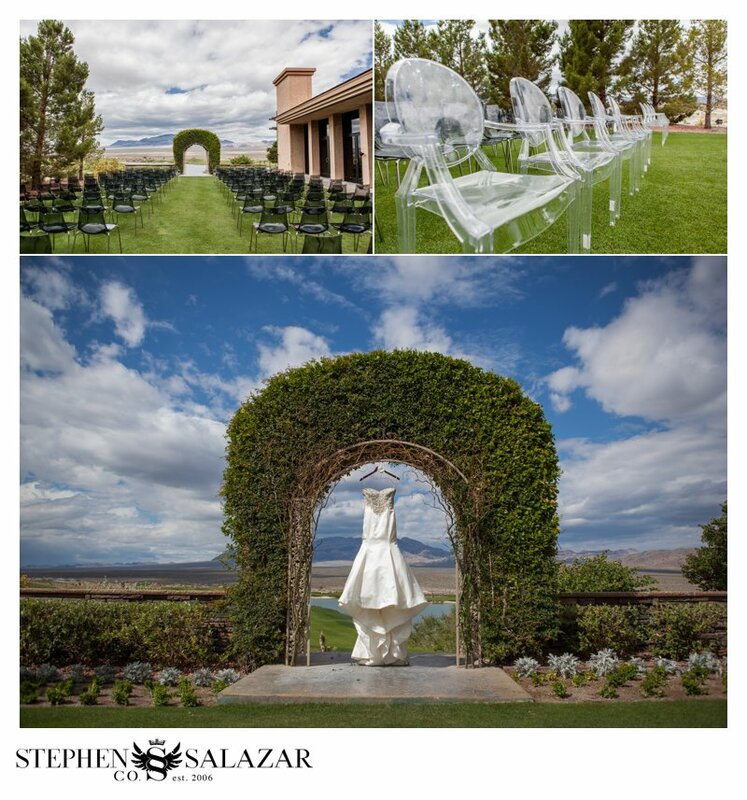 From the salon, the girls stopped to collect their dresses from Red Rock Resort and then the limousine dropped them at The Paiute where Drew and his groomsmen had already begun to get ready. 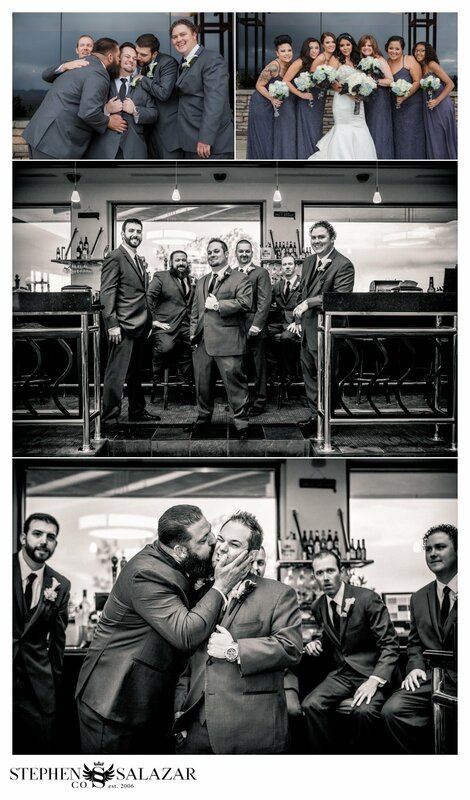 While they sorted out how their tuxes pieced together, all the guys kept me laughing between pictures and Julie’s youngest, Dimitri schooled some grown men in putting on cufflinks. Then, after all the groomsmen were ready for the ceremony Dimitri enlisted Drew’s help with his vest and tie. 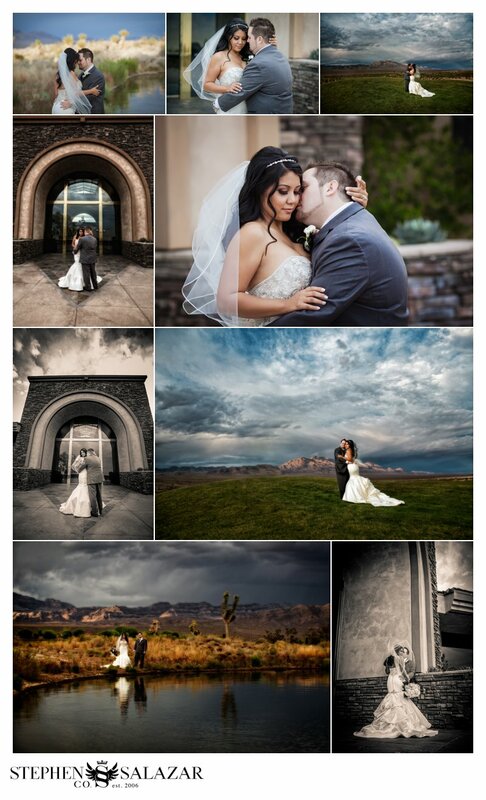 Photographing this moment was so special as I realized I was capturing more than a wedding that day- this was the beginning of a new family of four. 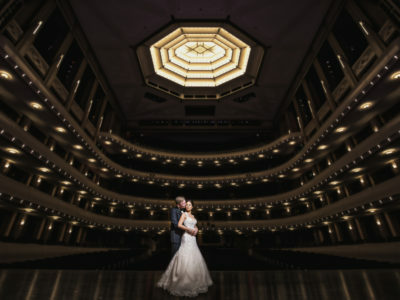 Before Drew could walk down the aisle he opened a gift from his bride, a Breitling watch, which judging by his reaction was definitely on his wish list. 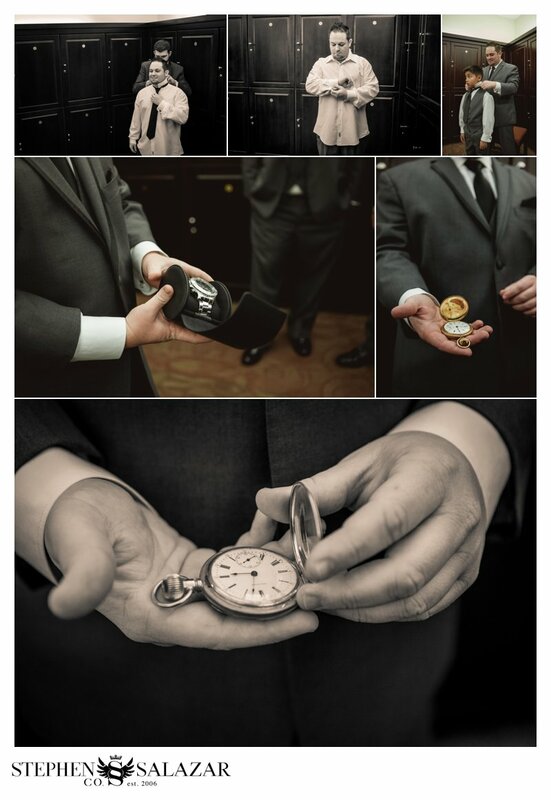 Last, he dropped an heirloom pocket watch he received from his late father into his jacket pocket. He was ready to see his bride. 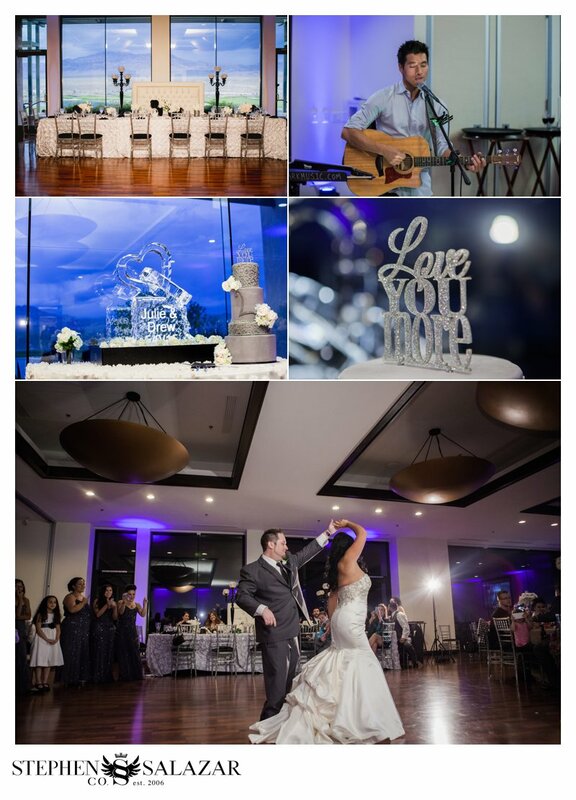 Across the venue, bridesmaids and Julie’s daughter, Talia helped her into her satin and beaded dress and Jimmy Choo’s, before she walked down the aisle escorted by her main man, Dimitri. 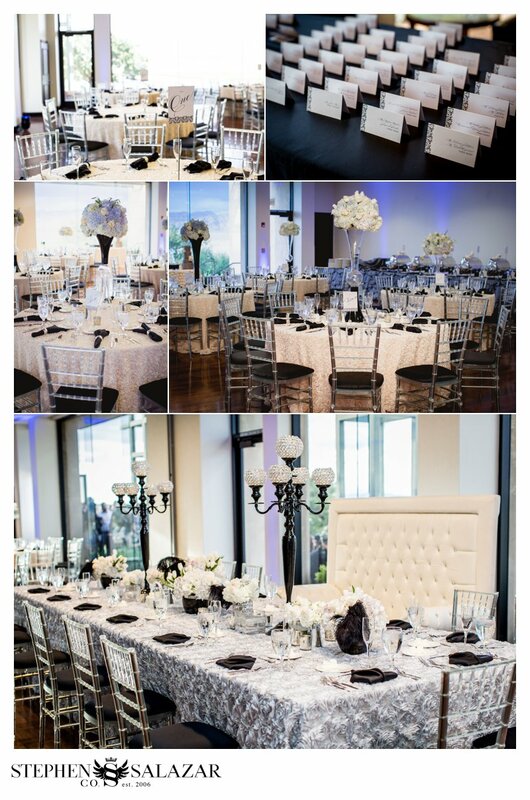 Guests were seated in gray acrylic chairs lining the ceremony site and bunches of blue and white hydrangeas filled the arch the couple said their vows under. 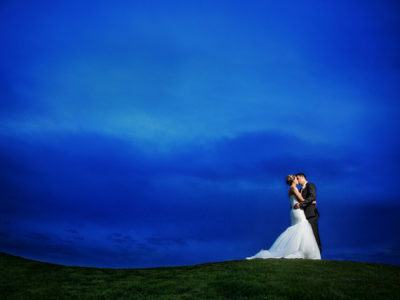 The overcast and rainy weather was dramatic and perfect for creative images on the golf course while guests enjoyed cocktails and a live performance by local artist Daniel Park who also played a special rendition of All of Me By John Legend during their first dance as Mr. and Mrs. Levy. 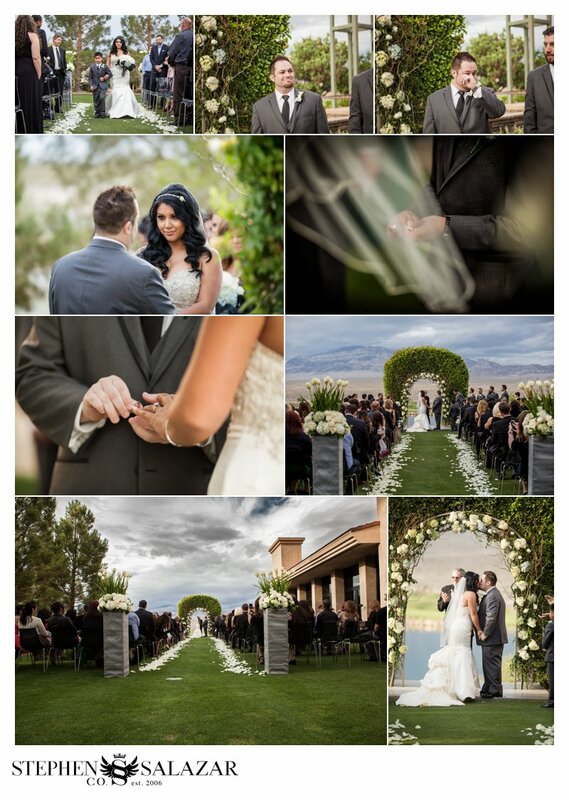 Drew and Julie’s wedding day was in incredible event we were privileged to take part in. Congratulations Levy family!